Since my prior 'beauty regime' post earlier this year, I have additional skin care products and some new favorites; I also mentioned my skin care routine on Instagram and on my Snapchat (Jadore-Fashion). The products I have not changed are Cetaphil Daily Facial Cleanser, Hydraluron, Dr. Dennis Gross Ferulic Retinol Serum, and Neutrogena Oil-Free Moisturizer with SPF 15. I have however added Kiehls Midnight Recovery Concentrate, Kiehls Daily Reviving Concentrate, Kiehls powerful reducing eye cream, Aesop Exfoliate paste and Aesop facial toner. Over the years, I have come to understand my skin and the products that work best for me with regards to maintaining good and healthy skin. In the past, I limited my options to SPF moisturizers, facial cleansers and Vaseline products. 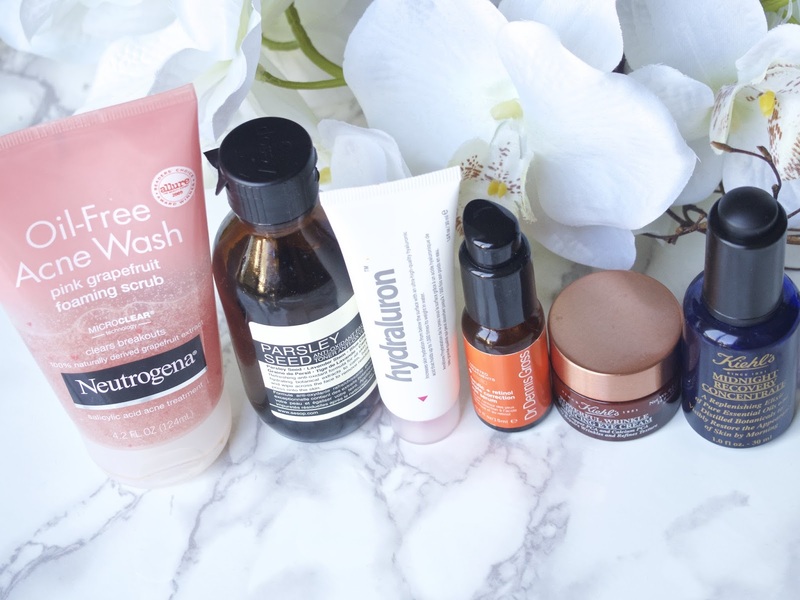 On this post, I am sharing my current skin care routine. I use different facial cleansers and face oils in the morning and at night. In morning, I use Kiehls Reviving Concentrate and Cetaphil for a gentle and soft touch because at that time of the day, my skin has not been in contact with external particles i.e makeup e.t.c . 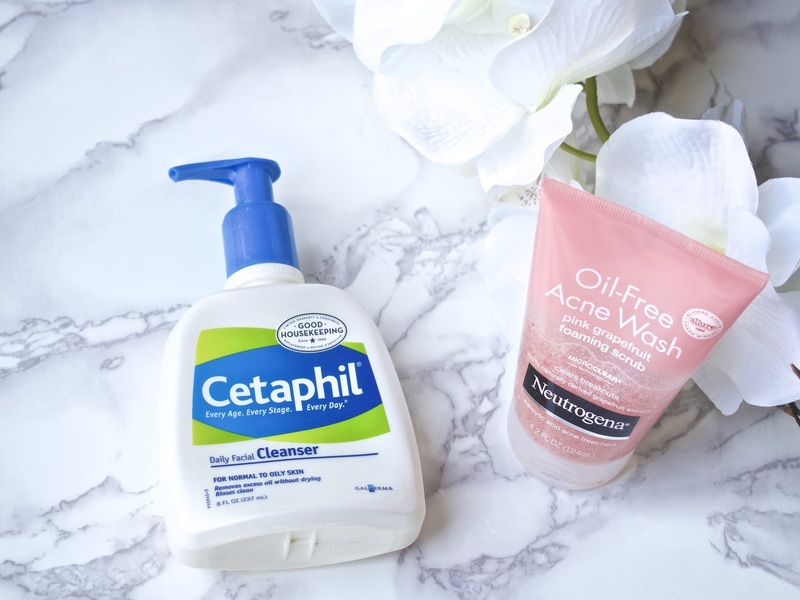 At night, I use Neutrogena Oil-Free Acne Wash which I call 'little fighter' as it clears off potential or current acne and I also use the Kiehls Midnight Concentrate. Step 3: with a cotton pad, I use Aesop Parsley Seed Anti-oxidant facial toner and pat onto my skin. It helps refine pores and balances the skin. Step 4: I apply a pea size amount of Hydraluron over my face. I love the way it keeps my skin plumped and hydrated. 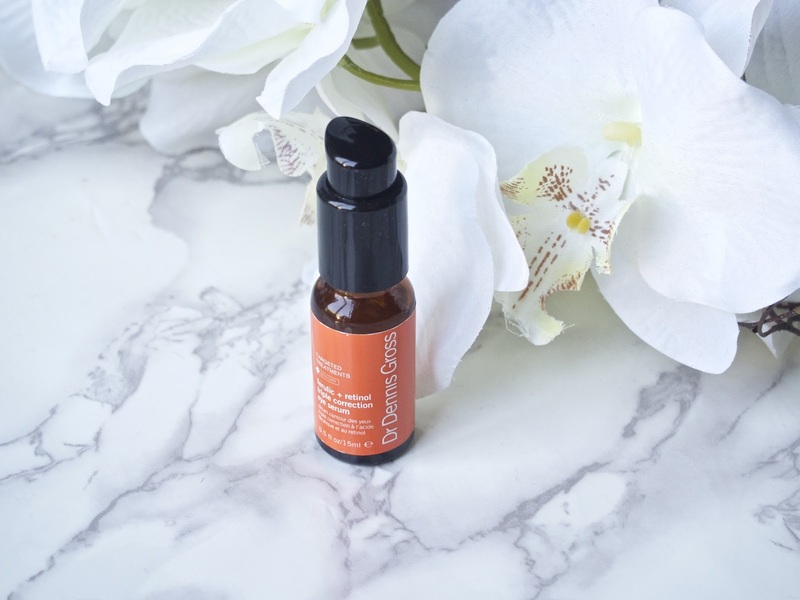 Step 5: Next, I use the Dr. Dennis Gross Ferulic Retinol Serum by applying drops under my eyes and over my eye lids day and night; it gives smoother and firmer eyelids. Step 6: After the serum, I apply the Powerful Wrinkle Reducing Eye Cream. I started using this product after trying out a small pack...love it! I can see a difference in the morning around my eyes after using it at night. I love the texture and it's not greasy. Step 7: I was a bit hesitant about oil concentrate because I have normal to oily skin, but after sampling this Kiehls Midnight Recovery Concentrate, it has become constant in my routine. It is very lightweight and it is amazing how it restores my skin appearance overnight leaving it smoother. After using it for months, I decided to try the Daily Reviving Concentrate. I use the Kiehls Midnight Recovery Concentrate at night and the Daily Reviving Concentrate in the morning. Step 8: Not listed in the pictures, I use Neutrogena Oil-Free Moisturizer with SPF 15 in the morning only. It feels light and keeps my face moisturized throughout the day. The SPF 15 is a plus for sun protection. I have been using this for years. The oldest product in my routine. 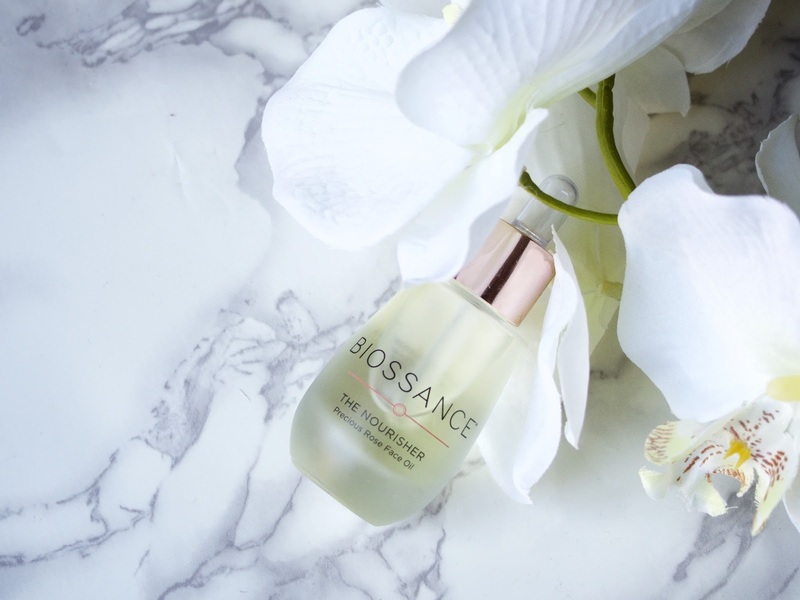 Step 9: Lastly, I use this Biossance 'The Nourisher' Rose oil mainly at night after applying the Midnight Recovery Concentrate. It contains Vitamin C which is designed to keep you skin radiant and smooth and it definitely does. It is an amazing product in a small bottle! It is non greasy and it keeps my face moisturized. The smell is amazing too! Extra: Purifying Facial Exfoliate Paste I use this once or twice a week with my CLARISONIC. It leaves my skin really cleansed and soft. 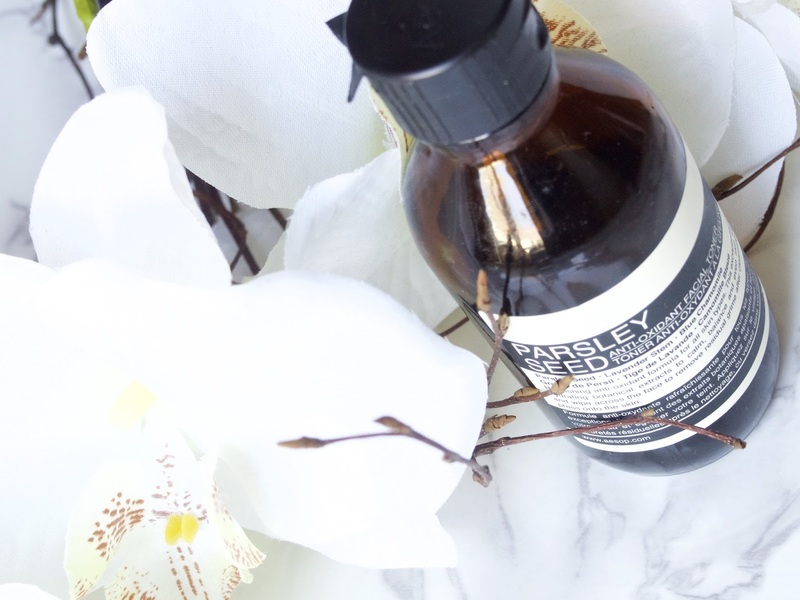 I follow up with my Aesop Parsley Seed Anti-oxidant facial toner and the rest of my routine. Hi Stella, thank you for sharing your facial products, could you please also share the products you use for the rest of your body I so love your skin. And oh that marble surface looks gorgeous! @Anonymous: Did you say 30mins? That's a BIG stretch. It takes me not more than 10mins. Follow my Snapchat and watch when I share my daily routine. This is my routine and this is what works for me.